Down 2-0 at half-time, Mark McKeever’s side came back to take a 2-2 draw from Chelmsford City courtesy of Matt Bower and Marlon Jackson. 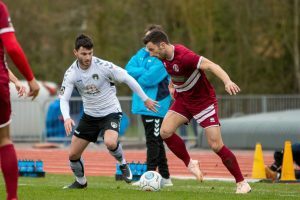 In the opening ten minutes of the tie, midfielder Chez Isaac had a chance for the Clarets but his shot outside the area hit the base of the post with Matt Bower poking the ball to safety, and Chris Whelpdale then had a chance when cutting inside but his shot was straight at Luke Purnell. Rhys Murphy got in behind when Tom Harrison misjudged the flight of the ball, but his shot was weak and Purnell could easily gather. Scott Fenwick then had a chance from a corner but he volleyed wide of the target from around eight yards out. 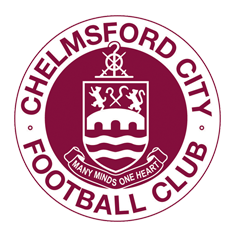 The relentless Chelmsford pressure, backed by the wind, paid off just after the half-hour mark when Fenwick brought a long ball down on his chest, spun and fed Whelpdale into the box. The winger took the shot on first-time and left Purnell rooted with a powerful shot to put the Clarets one to the good. Two minutes later, and it was a second for the home side. A Chelmsford counter found Isaac just outside the area. The midfielder took a touch and calmly finished into the corner from 18 yards to give the Clarets a two goal advantage. Less than 60 seconds after the restart, and Weston had pulled one back. A corner from Alex Byrne was cleared at the near post, but the left-back put the ball back into the danger zone and on a plate for Bower, who headed in at the back post. Jackson’s shot from 30 yards was ambitious after spotting Nathan McDonald off his line, but his effort wasn’t too far wide. On the hour mark, Harrison received his marching orders when he pulled down Rhys Murphy inside the area. Up stepped Fenwick, who blazed his penalty over the crossbar, letting Weston off and giving the Seagulls even more belief. 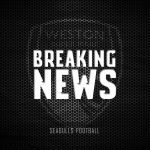 Weston got that vital equaliser 20 minutes from the end though when Jackson picked the ball up on the left and cut inside. Getting past one defender, he saw sight of goal and fired into the top corner to level the game up. 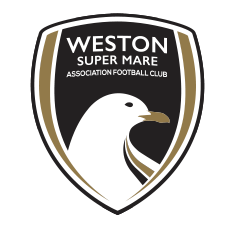 The Seagulls came inches from getting their noses in front when a George Nurse free-kick was met by the head of Tom Llewellyn, and he flicked the ball towards goal however the shot bounced off the post, rolled across the line and narrowly away from the danger. 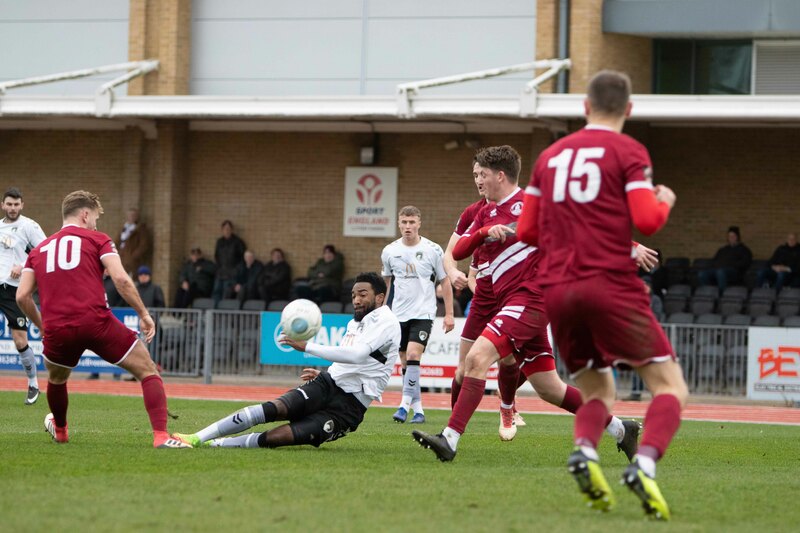 Aaron Parsons cleared an Aaron Cosgrave shot off the line after the Chelmsford substitute had been played through and beat Purnell with the one-on-one, and Purnell kept Fenwick out in additional time when the striker met a cross from the right with a point-blank volley. 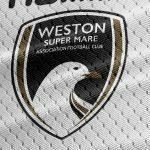 Weston XI: Purnell, Parsons, Nurse, Lee, Harrison, Bower, Pope, Diallo, Lucas (Llewellyn 77), Jackson, Byrne. Unused substitutes: Harper, Hill, Welch, Cane. 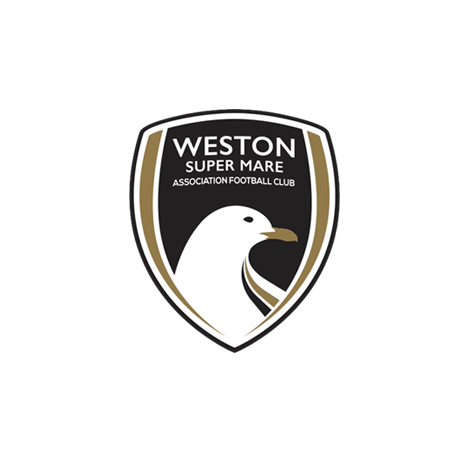 MOTM: Matt Bower – The defender had an assured game at the back for Weston, even getting up the other end and scoring a well-timed goal.